Very low VOC, single component, liquid applied, moisture cured, aromatic urethane polyurea elastomeric waterproofing base membrane. Suitable for wood or concrete decks and as an under-tile waterproofing membrane. 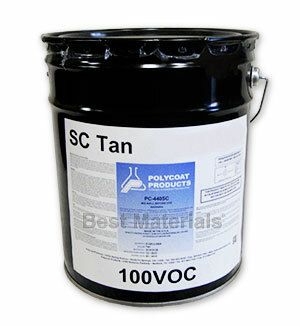 Very low VOCs meets standards in all USA areas, including SCAQMD. OPTIONS: also available in 1G pails.